From the table of contents: Introduction to Cell Biology: What is a cell? ; Types of cells; Preliminary Glimpse at Organelles; Preliminary Glimpse at Cytoskeleton; Models for Cell Biology Research; Cell division; Genes; and more. The genetics of chloro­plasts and mitochondrial inheritance have only fairly recently come to represent a major preoccupation of both molecular and cell biologists, who have been prompted to probe deeply into the energy-producing centers of the cell. The objective is to allow students to investigate how technology is used to deepen our knowledge of cellular and molecular biology. This module helps students sharpen their skills in critical thinking, experimental design, and data analysis. This book is beginning with an introduction to the pluripotent stem cells and covering various aspects like derivation, differentiation, ethics, etc., and hence would provide insight into the recent standing on the pluripotent stem cells biology. In this text, the authors give a review of recent progress in our understanding of the role of forces in cell adhesion from the viewpoint of theoretical soft matter physics and in close relation to the relevant experiments. The goal of this book is to provide a detailed treatment of the subject of DNA replication in eukaryotic cells. To ensure that the subject was completely presented, 92 scientists in the field of DNA replication participated in assembling this book. This book was written for collegiate Cell and Molecular Biology courses and may be appropriate at both an introductory level and also as a resource for more advanced courses. 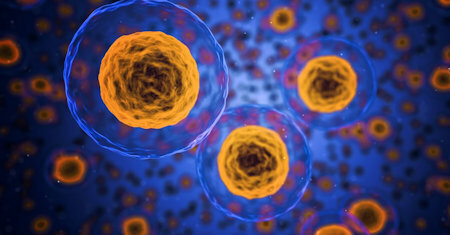 The entire course is devoted to understanding the workings of the cell. This is an educational booklet about cell biology. It describes the processes occurring within human bodies, explores the cell and its organelles close-up. The text features cutting-edge cell biology research and techniques.